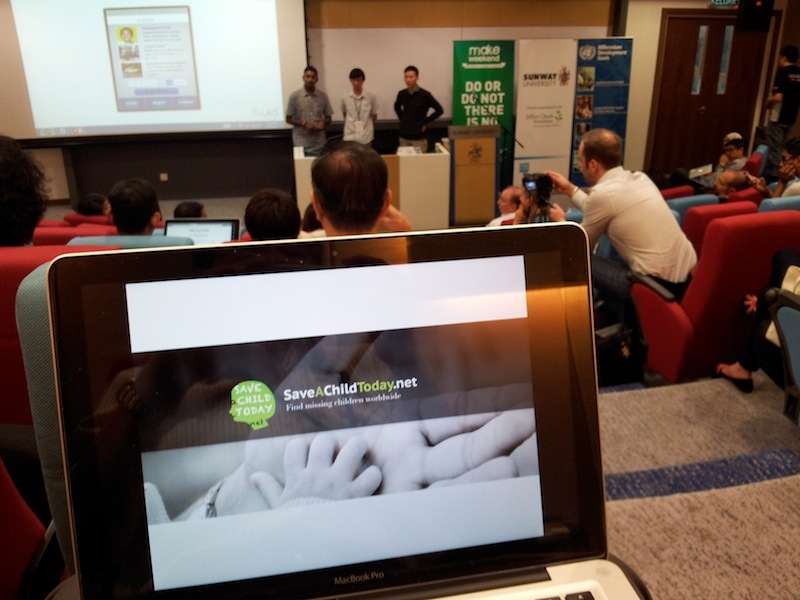 Redesigning thelulu.com’s user interface to make it easier and simple to use. 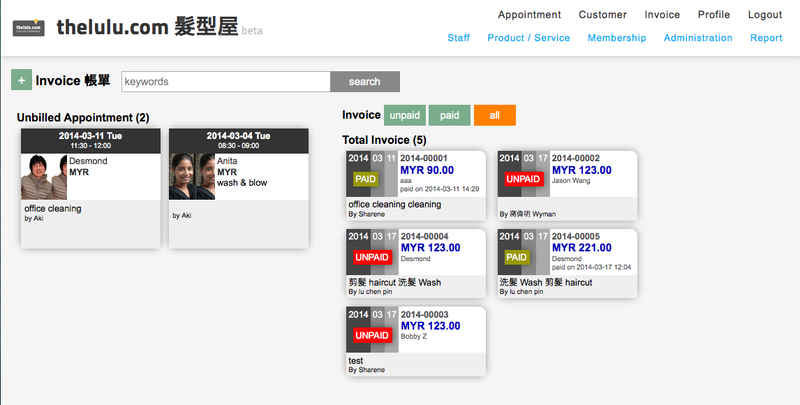 Create your invoice from appointments, and track the payment immediately. 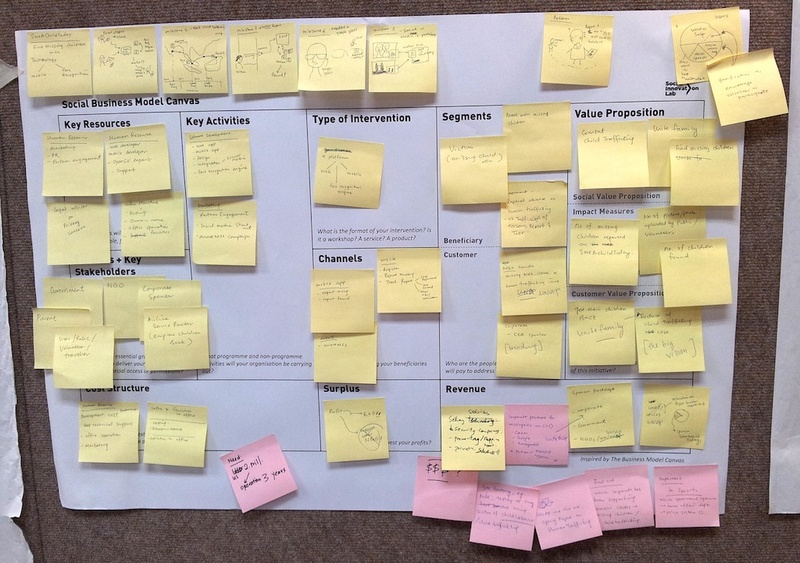 This helps business owners to have an better view of their business’ performance. I like what Guy Kawasaki said in his book – The Art of the Start – make meanings, start a business that will make the world a better place to live ! I also like what Richard Branson has said in his book – Do Good, have fun, and money will come. Content Management System, usually referred as CMS, is the framework/platform/application that make website update much easier. 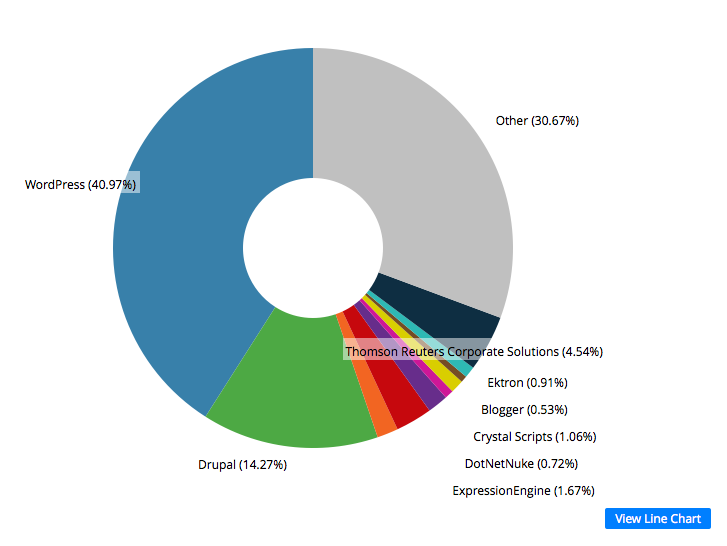 Builtwith.com has a wonderful chart that shows the statistic of CMS used in the online world. Here’s the chart screen-captured on 3th Oct, 2013. This website, http://cmsusage.com/, seems to have a better statistic. 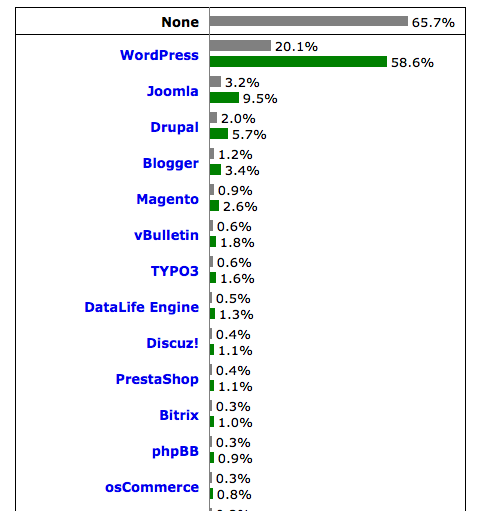 Apparently, WordPress is now the most popular Content Management System. However, the 2nd and 3rd most popular CMS are unclear, they are either Joomla, Drupal, and TYPO3. My personal preference is wordpress.